I'm not an emotional eater. When I'm sad, I tend lose my appetite. When I'm stressed, I don't eat at all. Lately though I've been a bit down, so I've been craving everything I shouldn't be eating - chocolate, cakes, lollies etc. It's not been good. In response to this over-indulgance I have decided to give up sugar during July. It's day one, so I really don't know how long it will last. I also have 9 cupcakes on my kitchen counter that need to be eaten. Dammit. I will freeze them, then eat them all in August! Mwahahaha.. In the last couple of weeks I've been cooking quite a bit, but none of it amazing enough that I felt the need to share. I've done two test trials of home-made marshmallows, that when I nail I will share with you. 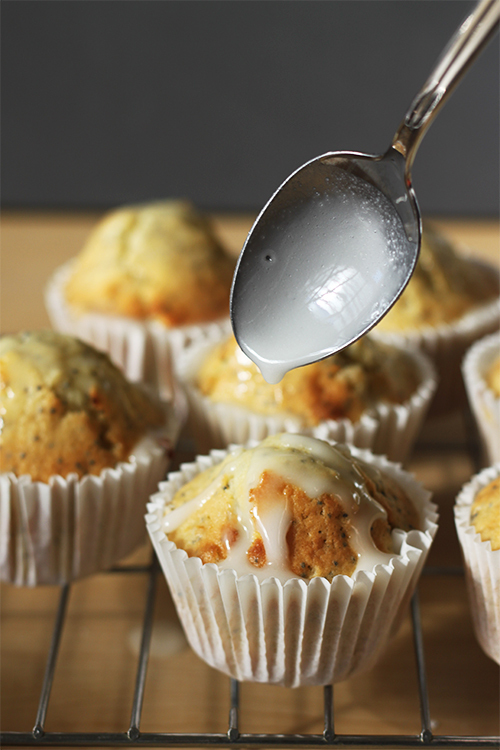 I made these lemon and poppyseed cupcakes which were delicious, but I failed TWO lots of icing (I have no idea how it happened! ), so didn't want to photograph them. I also made a ciambella (Italian olive oil cake) which I over-cooked, plus a few others dishes. 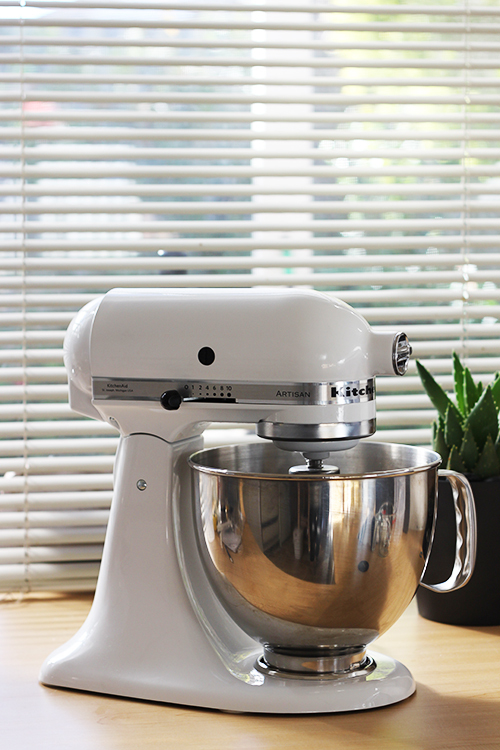 Also, something I haven't shared yet.. my new KitchenAid! I have wanted one of these for so long, that when the opportunity came up recently to get one, I jumped on it. It was a bit of a shock the first time I used it at the power it had, and I had to keep an eye on my icing so I didn't over beat it. I over beat it. It split. I learnt my lesson. Preheat the oven to 180C. Line a cupcake tin with paper cases. In a large bowl, beat the butter and sugar until pale and creamy. Add the eggs one at a time and vanilla extract and continue beating. Add the lemon juice and zest and beat for a further minute. 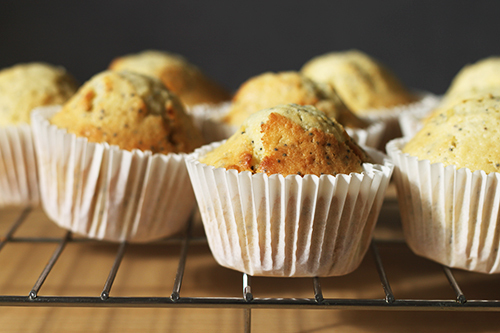 Add the flour, baking powder, salt, milk, and poppy seeds, and slowly mix until all ingredients are incorporated. Spoon the mixture into the cases, then place in the oven and bake for 20-25 minutes or until a skewer comes out clean when tested. Allow cupcakes to cool before icing. 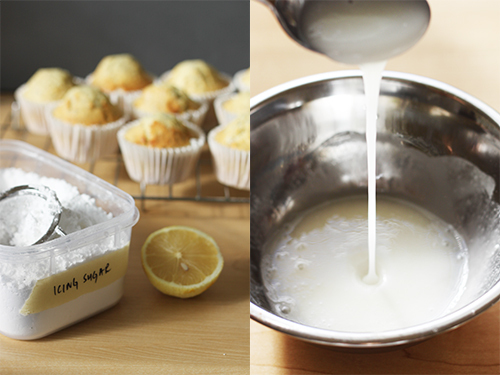 To make the icing, stir the icing sugar with the lemon juice, and add a little milk to thin it out. It should be runny, but also thick enough to coat the back of the spoon. Slowly spoon over the icing, trying to cover as much of the cake as possible. It will run straight down the cake, so take it slow. Australian cupcake cases tend to be larger than American ones, so for me this mix made 10. Oh my gosh, lemon & poppyseed is my favorite combination of all time. I love all things lemon and all things poppyseed, so the two together is perfection. 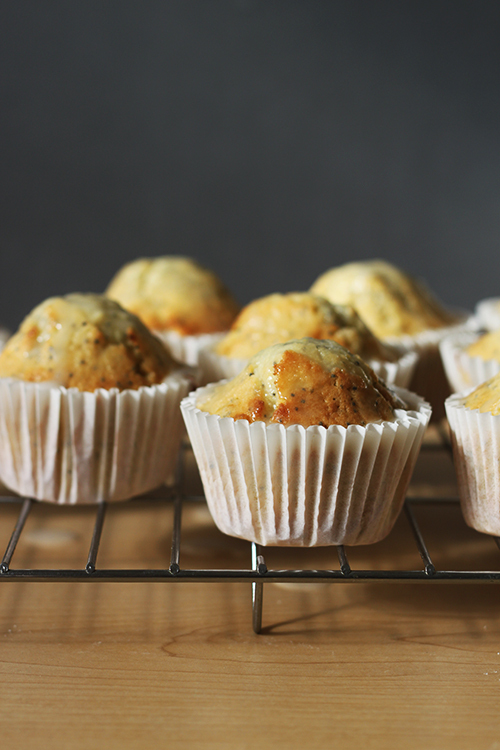 These look scrumptious and I'm definitely going to have to save this for my next baking venture!